Details This is a rare excellent folded condition British quad film poster for the Wes Craven directed horror classic from 1984. 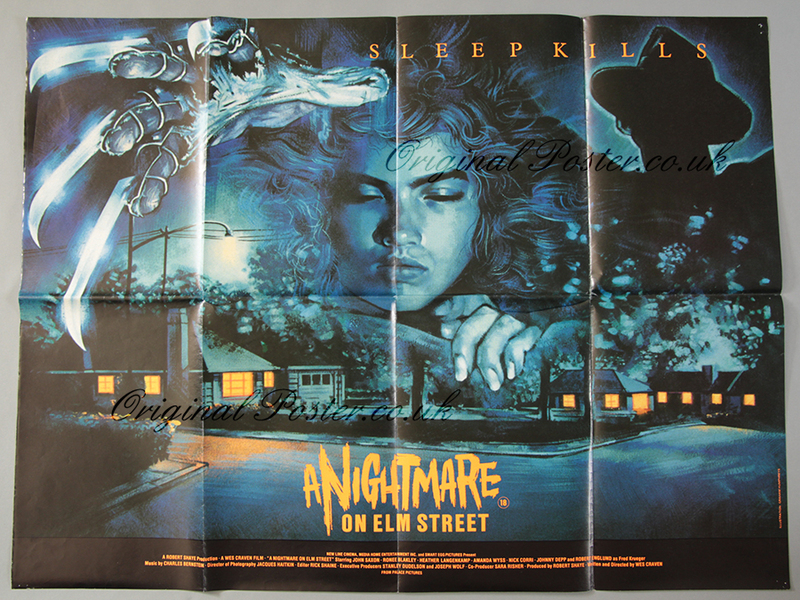 The quad has a sleepy dream-like quality with artwork from British artist Graham Humphreys picturing Heather Langenkamp whose only way of saving her friends lies in staying awake to thwart the razor-handed Freddy Krueger. This Palace Pictures film poster has excellent vibrant colours. Two pinholes in each corner.